The lawyers of Gary A. Zucker & Associates, P.C. always fight diligently for clients throughout Brooklyn. Whether you or a loved one has been injured, you can count on our attorneys to be there on your side working with you and for you. 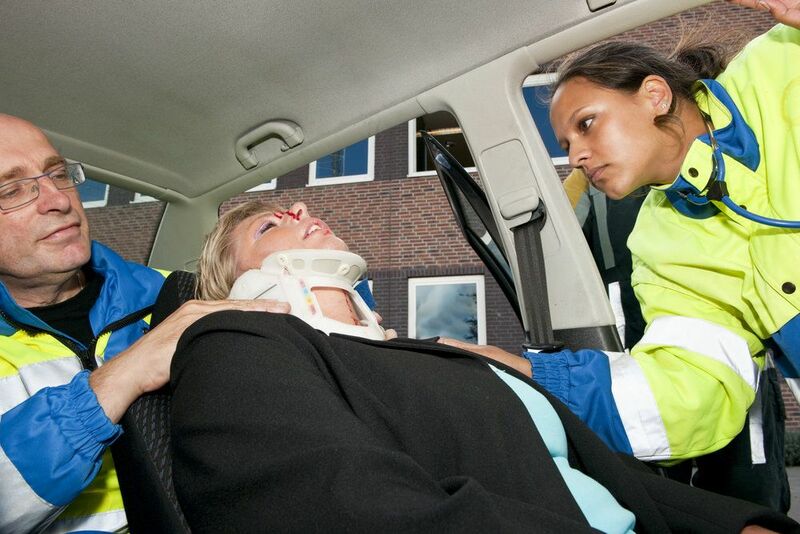 Having skilled attorneys is especially important for lawsuits regarding serious and fatal injuries sustained during auto accidents. Some of the most serious injuries come as a result of collisions with large trucks/commercial trucks. Given the size of large trucks, it should come as no surprise that they can be serious hazards to other motorists on the road. The tremendous force generated in a large truck accident makes severe injuries more likely. In addition, large trucks have many blindspots, increasing the potential for serious collisions if drivers are unlucky or not careful. With this in mind, it's important to exercise caution when on the road in order to avoid serious injuries and even death. Following a collision with a large truck, it's common for injury victims to experience broken bones. This might mean small fractures in different parts of the body, or serious compound fractures that require immediate medical attention. In addition to broken bones, it's common for people in accidents with large truck to also experience severe head trauma and injuries to the brain. Concussions may occur, for instance, as can direct damage to the face or scalp that causes major disfigurement. All kinds of head injuries need to be taken seriously, particularly if swelling of the brain or brain damage results from the collision. Spinal cord injuries can be caused by major collisions with large trucks. In some cases, this may refer to ruptured discs (herniated discs), pinched nerves, or fractures to the vertebrae themselves. This can result in major issues with mobility, range of motion, and general wellness. In severe accidents, victims may experience paraplegia (loss of sensation/use of the lower limbs) or even quadriplegia (loss of sensation/use of all extremities). These debilitating injuries are permanent, and they will completely change a person's life and livelihood. The bones and the spinal cord aren't the only parts of the body at risk. While an injury victim may seem totally fine on the outside, the force from the accident may result in serious internal injuries and internal bleeding, both of which have to be addressed as soon as possible. It should come as no surprise given the severity of the injuries listed above that many large truck accidents prove fatal. This is why having a skilled attorney on your side is so crucial. Working with a personal injury or wrongful death lawyer will mean having someone to guide you through the many complexities of the legal process toward a successful resolution. Speak with the Attorneys of Gary A. Zucker & Associates, P.C. If you or someone that you love has been injured in a major truck accident, we encourage you to contact our team of personal injury attorneys today. The lawyers at Gary A. Zucker & Associates, P.C. will fight tirelessly for you and your loved ones, providing sound legal counsel and peace of mind every step of the way.